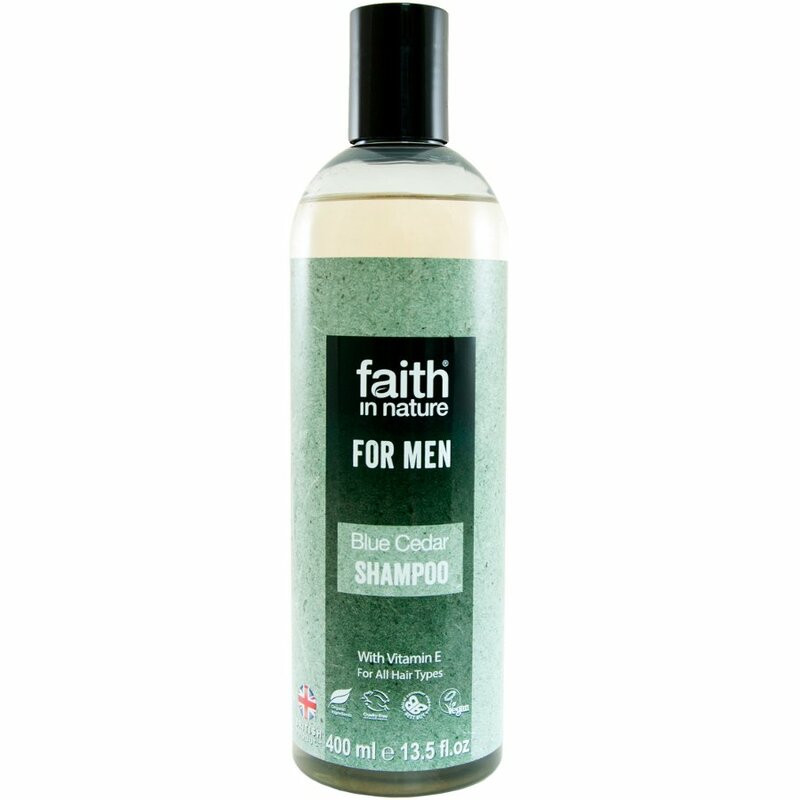 As a part of their award winning natural beauty collection, the Faith in Nature For Men range has been created with natural ingredients to care for you and the environment. This luxurious and unique shampoo is a combination of the aromas of blue cedar and Swedish mountain herbs and trees. Contains natural vitamin E, glycerine and organic green tea in it, which is known for its antioxidant qualities. It is free from artificial colours and fragrances, contains no parabens or SLS/SLES, biodegradable, and bottles are made from recycled material, when available. Aqua (Water), Ammonium laureth sulfate, Maris sal (Sea salt), Cocamidopropyl betaine, Polysorbate 20, Camelia sinensis leaf extract , Tocopherol , Glycerin, Glyceryl laurate, Helianthus annuus (sunflower) seed oil, Parfum (Fragrance), Sodium benzoate , Potassium sorbate, Citric acid, Curcumin CI 75300, Geraniol , Linalool. The Faith In Nature Mens Blue Cedar Shampoo - 400ml product ethics are indicated below. To learn more about these product ethics and to see related products, follow the links below. 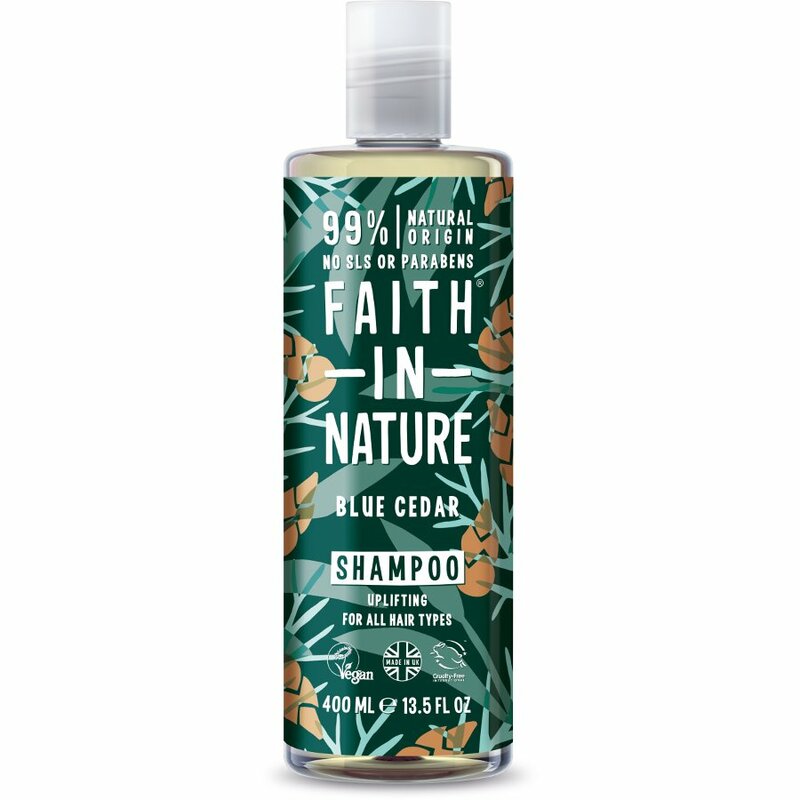 There are currently no questions to display about Faith In Nature Mens Blue Cedar Shampoo - 400ml.